In Plants vs Zombies: Garden Warfare 2, we have a game that manages to hone in on what worked the first time around, improve upon the formula and do something that the shooting genre absolutely needs: injecting a simple sense of fun into the whole experience. Honestly, I never really thought the original game would work. When Plants vs Zombies: Garden Warfare came out, I questioned how the quirky but lovable tower defence title would translate to the ultra-competitive world of shooters. The answer was that it translated really well, because PopCap managed to infuse the game with so much personality while still managing to make a tight shooting experience. 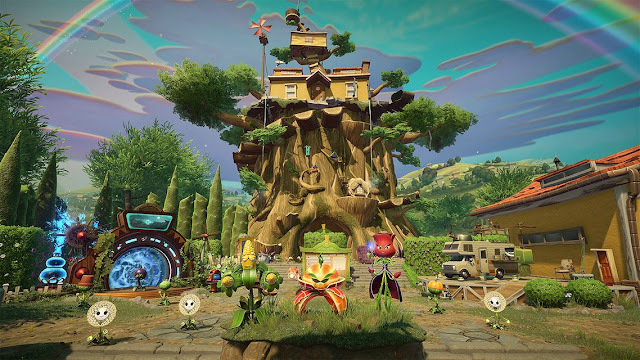 If there is one negative thing I can say about Plants vs Zombies: Garden Warfare 2 from the outset, though, it is that the sequel could have stood to take a few more chances. As a sequel it is more focused on providing 'more good stuff than before,' than anything actually new. So there are more classes, more maps, more modes - and yes, the basic math here adds up to 'more fun' as well. The quality of the game, both from a presentational standpoint as well as the core gameplay mechanics are excellent. It is certainly a better offering upon release than the first Garden Warfare game was, because it comes across as a more complete game. It is really hard to get mad at a plant. So many shooters nowadays infuriate players until they are swearing or tossing their controller (I have several friends who fall into these categories. One buddy in particular has damaged multiple controllers). However, when you see an adorable plant sitting there, all bright and colourfully cheery? It is hard to really feel the same frustrations that the too-competitive shooters often induce. The environments, like the zombies and plants, are equally brightly coloured and get to show off some crazy backdrops (including, but not limited to, the moon). It is crazy, enjoyable stuff complimented by some funny sounds and quirky animations. The story is pretty thin stuff, but basically centres on the zombies having taken the upper hand as Dr. Zomboss has led them to claiming Suburbia and renaming it to Zomburbia. From below these ashen streets however, the plants are ready to fight back, this time putting the zombies into the role of defender. This is hardly the stuff of great novels, but it helps to encapsulate the endearing, even playful nature of the combatants who look to vanquish one another. Notice here that the game uses the term vanquish, not shot/killed/maimed/destroyed/slain/etc. The humour is mischievous and despite the fact that these combatants are trying to shoot one another, the violence is cartoony, minimalist and appropriate for just about all ages. Unless of course you are easily offended by a plant shooting a pea at ridiculous looking zombies, but thankfully I am not. We have our four classes from the original game making their return, and they handle almost the exact same way. 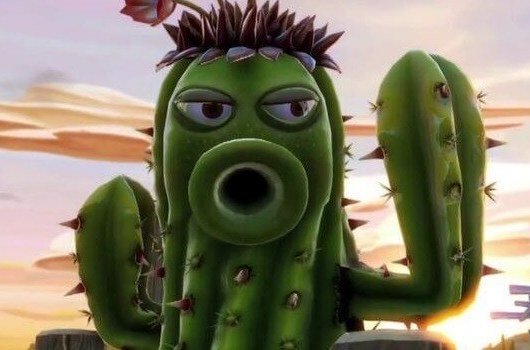 This makes it easy for those of us who spent lots of time with the first game to jump right back in and pick up where we left off (I still prefer the sniper-like cactus). Admittedly, I initially stuck with what I knew, but Garden Warfare 2 wants you to experiment and try out different classes. This is great, because some new classes have been added to the mix, and they are welcome additions. Whether you have Kernel Corn acting as a heavy duty bomber or Rose using homing attacks, the new plants deliver. Rose and her ability to polymorph enemies into a goat may be the greatest thing ever. Over on the other side Captain Deadbeard is a shotgunner and Super Brainz wants to get in close and personal for the zombies. While Plants vs Zombies: Garden Warfare 2 was clearly built with multiplayer in mind, the single player campaigns (there are two, one for each half of the conflict represented) are excellent additions. Certainly they feel like glorified tutorials, but the same can be said of campaigns in almost every shooting game. These campaigns when stacked on a variety of different multiplayer modes offer a good deal of variety. It also helps that there are more maps at play here, and they are large and generally very well designed. I was really surprised just how expansive they felt at first. During my time playing the game before it released, the developers offered reviewers such as myself to get together and play, which was great. When the teams were a little on the small side, some of the maps felt just a little empty in some corners, giving the impression that a few of the maps might be just a little too large. However, if you do not like playing online, there is also an option to play the game offline with AI opponents. You still earn experience and coins regardless of mode, and those are some of the best hooks in the game. I loved getting levels and unlocking new toys in the last iteration of the game, and that holds true with this release as well. This provides a lot of value and will keep players coming back for a long time if they hope to access everything that the game has to offer. Plants vs Zombies: Garden Warfare 2 manages to bottle up something magical and succeed a second time in a row. This is a series that I honestly did not think would work when it first released, but somehow managed to exceed all expectations. I was better prepared for the zany action that the series has to offer with the sequel, but I was also impressed that it manages to improve upon the formula in almost every way, even if the steps are incremental instead of sweeping in their scope. 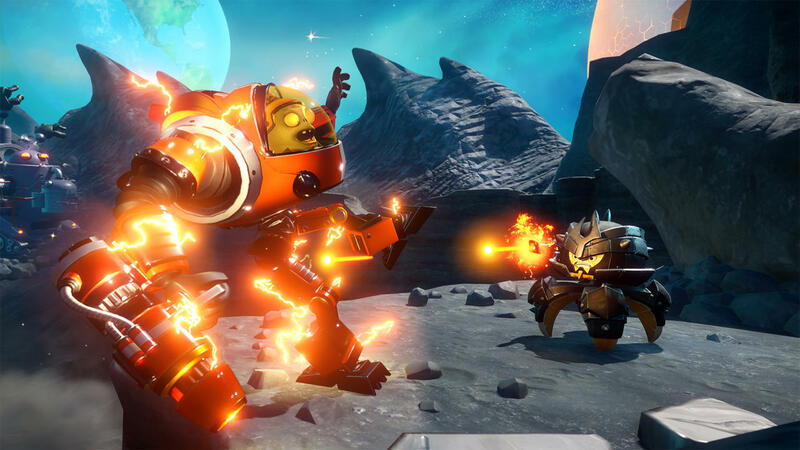 The potential for a let down was there, but PopCap has come through with another winner, providing a quality, family-friendly, yet engrossing competitive shooter experience that should not be missed.